Structure and size of the object are very important. Very small objects (< 5cm/2-inch) are challenging as well. Object should be more or less static. Dynamic and deformable parts are ok, as long as the majority of the object stays static. Try to record only the static parts of your object. Shiny and glossy surfaces on the objects are challenging. Again it depends on the number of glossy surfaces in the object. This article should help you with the creation of a video which is needed for Wikitude’s Object Recognition feature. We want to explain how to make sure the object is lightened properly, how to avoid disturbing scenery around the object and how to make sure you can capture the object from all sides. One of the major factors to get a good working Object Target for object recognition is proper lighting. To achieve this softboxes work really well. They are also rather cheap and easily available. 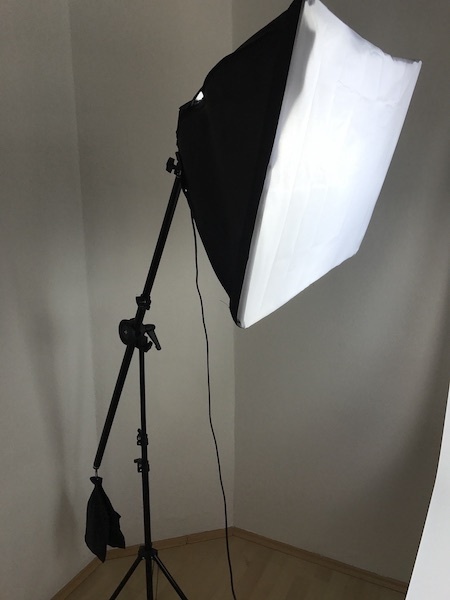 We recommend softboxes with a tripod and 3 boxes to place them around the object for homogeneous light conditions. To avoid tracking items in the background, it is helpful to mount a photo studio background behind and beneath the object. It is important to have a soft curve from the wall to the table or floor, to avoid edges in the background. In general, results will be better when using higher-resolution images. In our tests, 12MP images work quite well. However, there is a limit to that as well. Our recommendation is to use images in the area of 12MP (4032 × 3024), which is - as of 2018 - a common resolution for smartphone cameras. Make sure the background of the object is rather simple - any background noise that is seen on multiple images will be part of the object target. Keep the object still and move around it to take pictures if feasible instead of turning the object. This is different when you use video-based conversion. For image-based conversion, we highly advise against using a turn-table. Image based conversion allows you to upload images of the same object in different scenarios (e.g. 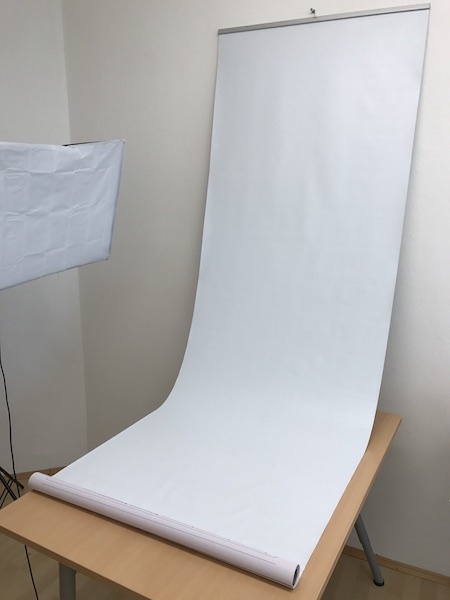 white background, wooden background). Adding those will make recognition more robust against varying backgrounds. Make sure you find a room with enough space to move around freely and a table, where you can place your object on. To be able to recognize the object from all sides it is necessary to capture it from all sides. This is much easier if you place the object on a rotating turntable, a rotating cake stand or something similar and which works for the size of your object. Make sure that the surface is non-reflecting and in the same color as the background. For the filming make sure you find a good camera. A newer smartphone should work well and if you can change the exposure value, even better. Sometimes it is necessary to reduce the exposure value to stop flickering because of fluorescent light bulbs. You will recognize this immediately watching your video. We recommend re-encoding the video before uploading to video. Make sure you keep aspect-ratio of the video while doing so. There are several tools that re-encode videos reliably and fast. We have been using Handbrake for Mac, which shows pretty good results. Again make sure you don't change the aspect ratio of the video while re-encoding. Some important general advice for video-based conversion: Please read carefully! Start with a sideways movement in the beginning, that is parallel to the object. If you don't want to recognize the object from a particular side you also don't have to capture it. Film from different distances if you want to recognize the object from different distances. Shadows in the video are treated like they belong to the object. While moving closer will get you more details, try not to capture the object at close range. Just capture the sides that you actually want the object to be recognizable from. Do not crop the video frame and by that change the aspect ratio of the video. Re-encoding into a different codec is fine. Also scaling the video, while keeping the same aspect ratio is fine. Make sure you place the object stable on the rotating turntable, choose a side of the object with some structure and start capturing the video. Move close to the object to get some details, move back, get the upper part of the object and cover the whole surface of the current side. Now start rotating the object and capture the object from all sides. While rotating try to get some interesting details with good structure, this will increase the stability of the recognition and tracking. When you captured the object from all sides stop recording and check if there is no flickering and the video is looking good. Of course, you don't have to shoot the video of your object on your own but can use a rendered video from any 3D modeling or CAD software. If you do so, choose a similar rendering path as described above. Make sure you export your rendering in one of the supported formats (mp4 or mov). This is the video we were using as a source for creating an Object Target for our sample application (the fire toy truck).